I got the origional shirts at Aardvark printing in B.G. (right next to Panara's) If they still have the artwork, you should be able to get a good deal on shirts. They have a website, and you could phone to see if they kept the stuff. I posted this before but my advice, if you do this, is KISS. Offer only a few colors, stick to the origional design, don't get any smalls, get mostly L,Xl, and some XXL. Most people would rather have a Tshirt that's a little big. 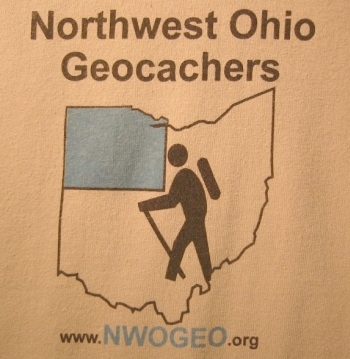 It been awhile since we did a shirt run so we can do another run and sell them at geobash if we have people that would want to take charge. We do have money in the bank to finance the shirts. I'm working on the t-shirt idea....give me a day & some phone calls. I'll be back with some info on these. Was the logo on the front or back last time? How would a pre-order work? Okay, I started this off before we had the twins, but now that they are 9 months old, I have the time to dedicate to finishing this (just do not tell my wife I said that)!! Before we talk about colors and sizes etc...Can anyone tell what the old shirts looked like (front and back). I ask this question not because that is what we want to order, but because that is what might be on the screens that they might still have. Seems like a starting point to me. >Nothing was on the back. Too much extra costs. > If A doesn't have it, then shop other places for a competive price. If you have to have a new screen made, you could change it some also, but that is another can of worms you don't want to open this late, or you might not get shirts by Christmas. < decide if you want to make a profit or just break even. Most of the money in our fund is from shirt sales. After talking to Good Dog and Jhenkel I checked our website server and could not find the orginal artwork that we submitted to create the T-Shirt that Yogi posted above. If I am not mistaken, that image above is of my actual tan colored T-Shirt, since I could not find an image file back then either. If "A" can not find it, I'll contact our orginal artist "Team Soaring" to see if they still have the original. Last edited by GizmoGuy411 on Thu 2009-05-14, 13:37:11, edited 1 time in total.